Everyone knows A Christmas Carol, but Dickens wrote four more Christmas stories over the next few years. This is the second in the series, the story of poor porter Trotty Veck, who has grown discouraged and pessimistic about the moral worthiness of humanity. 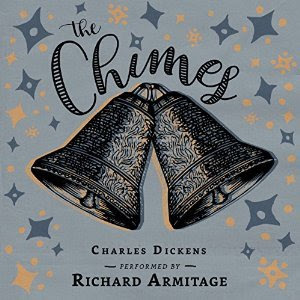 He treasures the Chimes, the church bells, though, and one year, between Christmas and New Year's, the Chimes, or the spirits that live within them, decide to teach him an important lesson. In one harrowing night, he sees terrible visions of what will be, or might be, in nine years' time. His friends, family, and neighbors face terrible challenges. Trotty sees both what hardships they face, and the crushing unfairness of the law--and how they bear up under it, and what motivates choices that he previously thought could never be explained except by pure, willful evil. It's a darker story than A Christmas Carol, but in the end has the same moral message.